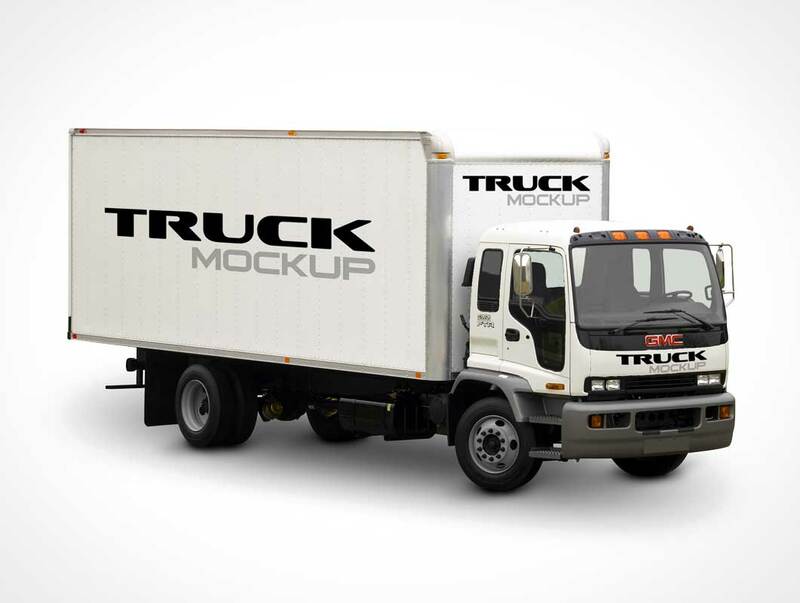 This delivery truck PSD Mockup adds your shipping company brand or product onto the side and front of the container bin. Additional branding is possible above the delivery truck grill as well. This is an Isuzu GMC made transport truck with large front windshield for clear cabin visibility. The photorealistic truck is a solid form photo whose shadow is burned into the photo itself.